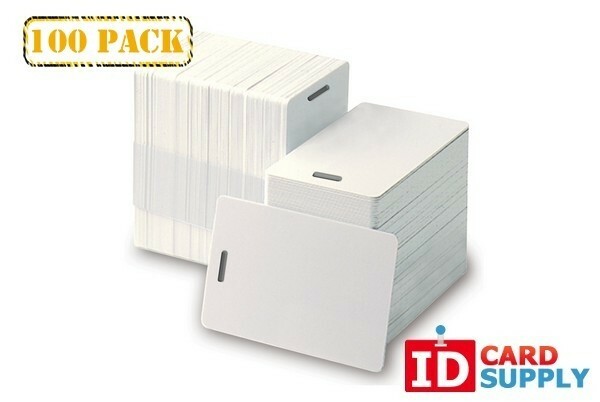 These 30 mil standard CR80 (Credit Card Size) cards are made by easyIDea. This convenient bundle of 100 consists of standard white graphics quality cards with a Drill Press / Slot Punch of the industry standard size along the short edge of the card. This allows the card to be attached to a lanyard, suspender clip, luggage loop, or badge reel!